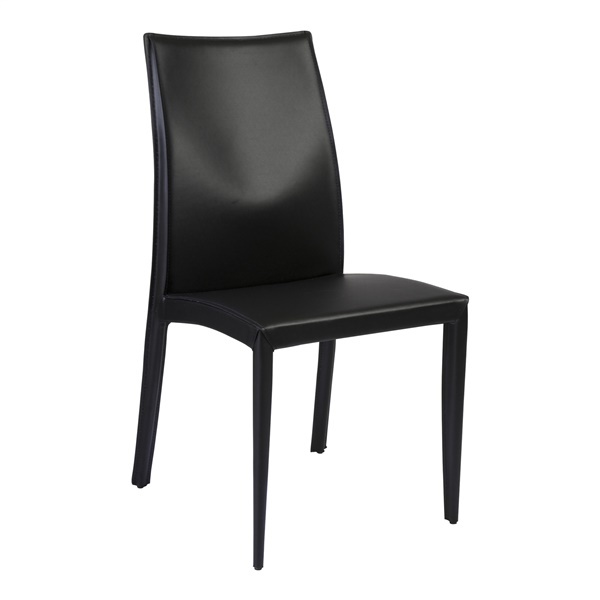 Enjoy a meal in the simple luxury of the Dafney Side Chair. The seat, back, and legs of the Dafney Side Chair are covered completely in leather, for a lush, contemporary look and a comfortable place from which to enjoy a meal. The Dafney Side Chair is completely upholstered in Regenerated Leather. It can hold approximately 250 lbs. What is the frame of this chair, and is the seat and back cushioned? This chair has a fully welded steel frame upholstered in leather. There is very minimal cushioning on this chair but it is still quite comfortable.